It started with a poem at Whole Foods in January of 2012. Co-organizer Eduardo “Eddie” James and the original members of Phoenix Animal Liberation Squad (PALS) came together in front of Whole Foods’ deli section to offer people a different perspective on the deli meat served there. This deli wasn’t food, this deli wasn’t meat, James says. “That is animal flesh that has been slaughtered. That has a story behind it." Today, James takes a seat in the empty room. He’s just one person, but as he speaks, the room suddenly feels much fuller. With every word, comes a story. He’s speaking not just for one person, but for many. He speaks for the animal rights group, PALS, he speaks for those who have yet to project their own voice about the issues and he speaks for the voiceless animals they support. A major goal of PALS is shifting perspectives. The organization aims to raise awareness of animal exploitation happening on factory farms, at animal testing facilities and within the fashion industry. They do this via protesting, marching during downtown Phoenix’s First Friday, traveling to prominent animal rights events across the country, contacting major corporations and creating petitions, among other activities. “Anywhere where animals are being exploited, we feel that it is our duty to be their voice. It is our obligation to speak up for them,” James says. PALS is made up of about 45 members, but James is confident in the future of the group and all of what they’ll be able to accomplish. “Right now we are pretty small compared to the numbers that are in some of the major cities, but we are a very passionate organization, a very passionate few,” he says. James is hopeful that PALS will get bigger as their message spreads. “We’re going to get bigger as long as people start seeing the truth and see that animal liberation is human liberation is earth liberation,” he says. There’s no separation in that liberation; compassion has no borders, he says. According to James, certain groups in Arizona have not joined PALS because of the group's uncompromising nature. James defends PALS’s radical nature by pulling inspiration from Martin Luther King, Jr. He relays a story discussing how MLK was asked by the moderates why he demanded freedom for African American and civil rights without compromise. Although James talks of PALS's radical nature, other members of the group are quick to clarify that while they may be uncompromising, the group is driven by passion and a love for animals. “My great passion is animal liberation, and PALS has attracted some really bright, conscientious activists," says Kathy McGee, a volunteer with PALS. These activists are working toward a noble path, she says. Co-organizer for PALS, Iona Samartinean shares the same sentiment. While they’re uncompromising, they’re not hostile. They say they want others to join in. They want the public to support their issue. “The biggest challenge is to be on the same page with a person and let them know you’re not judging them," Samartinean says. PALS is currently launching a campaign called Arizona Progress for Science, which is a coalition of California’s Progress for Science. The campaign promotes "cruelty-free and modern science." “We do not want to end the science research or the cancer research whatsoever. Our main goal is to make the research animal free,” James says. According to James, it’s not science if there is violence involved. The use of animals is an antiquated way of conducting research. James says we need to move forward and engage in science of the 21st century, rather than the 17th. James believes that if we started conducting research of the 21st century, we’d have found more cures and solved bigger problems by now. Using 17th-century style research is keeping science from advancing as fast as it could be, he says. It doesn’t make sense to research on animals since we have different biologies, James says. In fact, PALS promotes the idea that it goes beyond that — animals are of different biographies, too. PALS is evolving even further, James says. The organization wants to get more politically involved so it’s urging people to get into contact with their representatives. Samartinean says she hopes this will allow them to reach their end goal, which is animal liberation. “What I hope people gain from this is a better connection with animals, with other humans, with the whole planet,” Samartinean says. There’s a lot ahead for PALS and James is determined to give the animals without voices the justice they deserve. James says people are like caterpillars because caterpillars “take” from the moment they’re born. He wants people to become the butterflies they ought to be. Butterflies pollinate and give back to the environment. It’s hard to see the butterflies that are already fluttering due to them being outnumbered by caterpillars, James says. It’s up to people to open their eyes to these butterflies, though. Just as it’s up to people to listen to the many voices, the harsh, the soft and the silent. Reach the writer at gburnton@asu.edu or via Twitter @gretchenburnton. 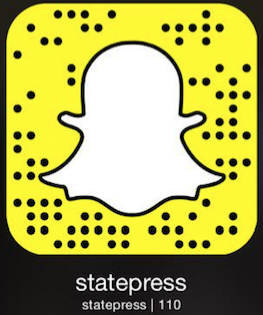 Reach the multimedia reporter at dcsantac@asu.edu or @run_dsc.